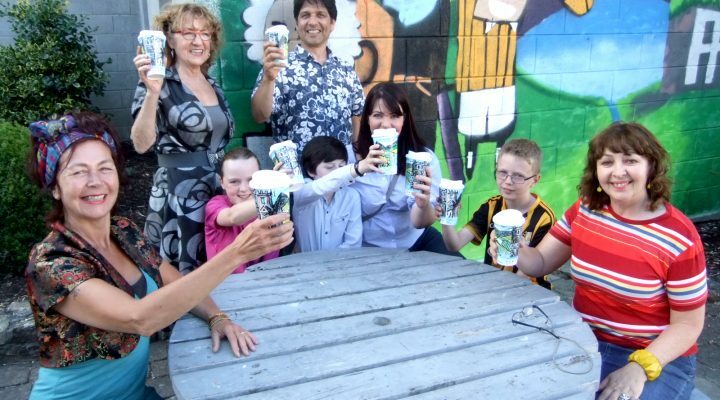 We are delighted to announce the winners of our recent design contest and launch the sale of Thomastown’s very own reusable cup! 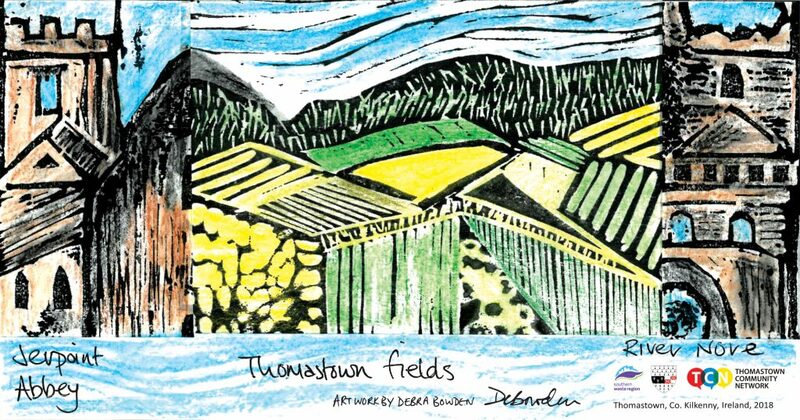 After over 100 entries were received, a Japanese wood block print by local artist Debra Bowden was chosen for the first round of limited edition cups, which are now available for purchase from Thomastown cafés participating in the Conscious Cup Campaign. 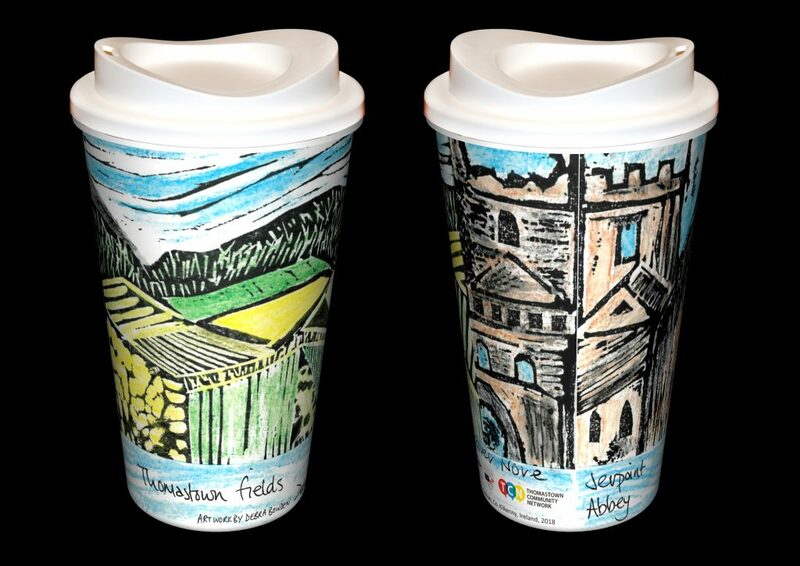 These gorgeous cups are now on local sale for the promotional cost of €5 to help encourage café frequenters to get into the habit of bringing their own reusable cup for take-away teas and coffees, instead of using disposable cups. And, to save themselves some money in the process… as participating cafés will be offering discounts for reusable cup customers! Other contest winners include local artists Bernadette Kiely and Polly Donnellan and in the youth category the winner of the top prize of eight weeks of TADA! Theatre And Dramatic Arts classes is Kate Ryan. Other winners in this category are Cian Doherty, Harry Bay, and Ellen Nugent. Honourable mentions also go to: Aoife Dowling, Lauren Wemyss, Aisling Coverdale, Bláthnaid Mullins and Hazel Cleere. Prizes awarded include a €40 voucher for cooking classes at the School of Food, €20 voucher for Bassett’s Restaurant, and €10 vouchers from The Watergarden, The Truffle Fairy, The Riverside Café, and The Blackberry Café. TCN would like to thank these businesses for their donations, and to thank all who participated in the competition for their entries!